This horse mandible from Cave 2 shows a number of cut marks on the lingual surface. They indicate that the animal’s tongue was cut out with a stone tool. 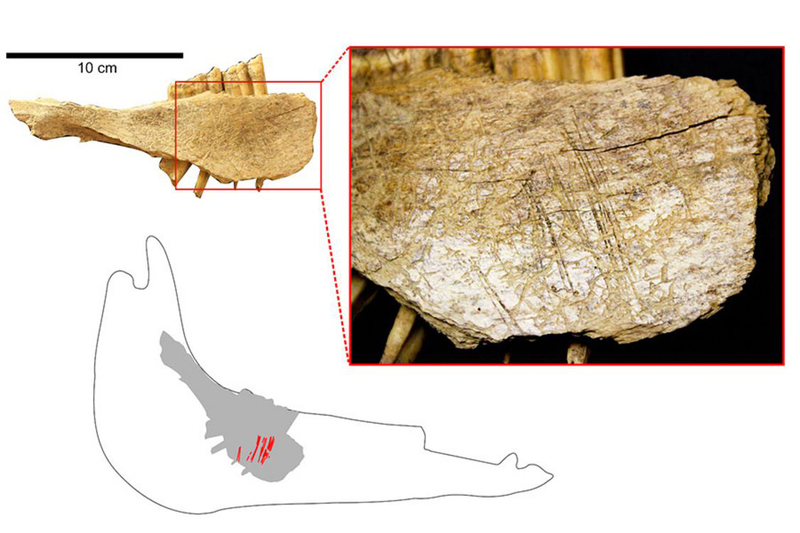 To set the record straight, Bourgeon examined the approximately 36,000 bone fragments culled from the site and preserved at the Canadian Museum of History in Gatineau — an enormous undertaking that took her two years to complete. Comprehensive analysis of certain pieces at UdeM’s Ecomorphology and Paleoanthropology Laboratory revealed undeniable traces of human activity in 15 bones. Around 20 other fragments also showed probable traces of the same type of activity.